this Anita Goodesign CD. PLUS the CD includes corresponding SVG files. "What's an SVG file? ", you ask. will be the Mr. Lincoln red rose shown in photo. Demonstration of using an SVG file included. $69.95 for design CD plus includes Pre Cut applique kit for Rose Design. 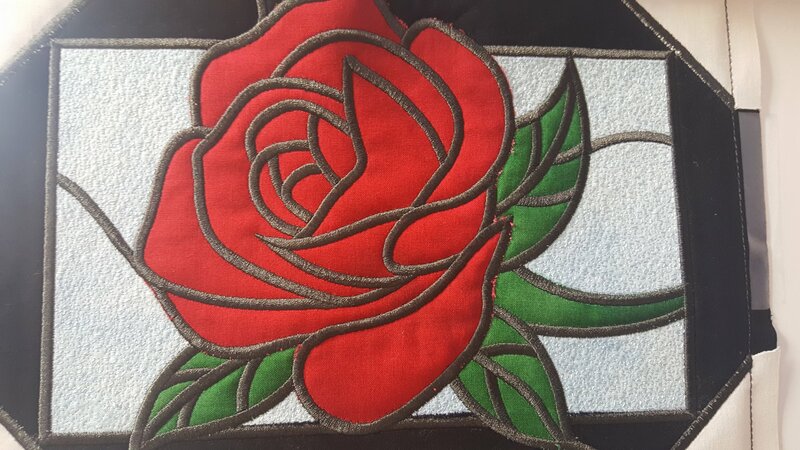 All Access members can pay for the Rose design applique kit for $10.